Texting My Pancreas: Those Rings Are Sleigh Bells, Not My CGM Alarms. Thanksgiving weekend usually marks the beginning of holiday decorating at the Vlasnik household - it's a four-day weekend for Aaron and I (and now Billy, too - although really, every day is a day off for him), so we've got a little more free time to deck the halls and jingle the bells, and all that junk. 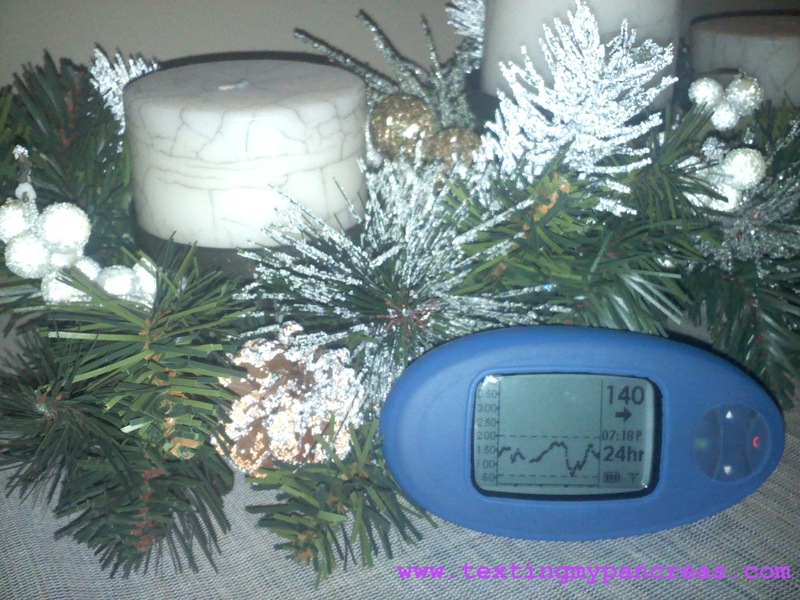 The storage-room-digging, garland-hanging and tree assembling also made for some awesome CGM graphs. It's sneaky exercise! No-hitters fill me with holiday cheer! The yuletide-ization process also made for some fun times with the dog - our tree goes right where his kennel has been, and we worried about him getting upset. Turns out he couldn't care less about the tall, glittery thing in our living room.